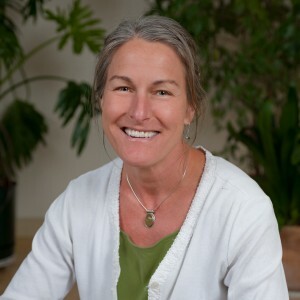 Mary Gail Sullivan is a 1993 graduate of the Muscular Therapy Institute (MTI) in Cambridge, MA, and taught at MTI for 15 years, including a stint as department chair of the Massage Technique department. She has been in private practice since 1992, focusing on injury evaluation and treatment. Mary Gail is certified in the Benjamin system of musculoskeletal injury assessment and treatment (also known as Orthopedic Massage), and has taught orthopedic massage workshops alongside MTI founder Dr. Ben Benjamin for the past decade. She is Nationally Certified in Therapeutic Massage and Bodywork and is a member of the AMTA . Mary Gail played competitive Rugby for twenty-two years. In 1991 as Team Captain, she led the USA team to victory in the first Women’s World Cup against Great Britain. When she is not chasing after her dog, two cats, parrot or hampsters, Mary Gail stays active with off-road unicycling, snowboarding, rollerblading and restorative yoga. Deep tissue and myofascial work address the muscular and connective tissues using various methods that elongate and alter the fascia layer, increasing range of motion and pain free mobility, as well as releasing trigger points, often called ‘knots’, within the muscle itself. This deep work requires extra time to warm up the tissue, breaking up scar tissue (adhesions), and releasing trigger points. This work is highly recommended to rehabilitate injury or to alleviate chronic pain.